Read these threads please before posting, please! This is the fastest way to familiarise yourself with a complex system. If it were simple, everyone would be perfectly flexible! Just as the name suggests! Lab Coat Fitness is live! 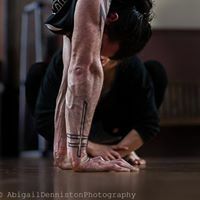 Olga's recent success with her new Instagram channel promoting her new Pilates studio prompted me to reach out to our community (and wider) to collect information on how to promote our work in the widest sense. This is the place for all those ideas and discussions. Please limit the discussion here; what we need to see is a compact list of what classes you would like to see (and suggested durations, too; we are thinking 15', 30', 45' and one-hour classes will be the starting points). Post your workouts here—can be any kind, for any purpose, but probably helpful to add what this is! This is the place to post if you want someone to look at what you are doing, and give you feedback. Use YouTube to host video, please, and insert the YT URL here. Strengthening as well as stretching (or anything else that can benefit from a form check) is most welcome here. Post all threads related to Stretch Therapy here; we will break into smaller sub forums if necessary as we see what's popular. Threads might include how you use ST in your clinic or studio, or you may post on the particulars of a patient or client (no names, of course) to ask other's advice on what you suggest. The place to talk about your classes, students, any new techniques you want to show. When you want you can link your videos of your classes and/or images here. Class plans are always interesting—post them here, and let's see what others think about them; and class plans always spark new ideas about how the part might be related, too. The place for all things Monkey Gym! Post links to interesting clips, discuss exercise techniques, program design, new ideas for MG play. And if you are thinking about setting up a Monkey Gym of your own, this is the place to talk about it, and anything else relevant. The forgotten part of the ST system, and forgotten, too, from the majority of all other Western exercise systems. This is the place to talk about your practise, or to post tips and ideas for teaching relaxation, and the other "r" words. "Relaxation" might be a Yoga Nidra-like practise, or a seated/lying/standing meditation. I have uploaded a number of scripts and .mp3 files of some of relaxation the scripts I present in various locations, too; please feel free to upload your own for others to try out. Added today: the sixth 'R' (Right livelihood). All suggestions we make here will have been thoroughly vetted and digested—and all will have immense impact if you read them too. Tell us about books or articles that have helped (or better) have inspired you. No limits! Enjoy thyselves! All topics relating to 'Sensible Eating'—but, first, what is that? Self-explanatory, no? Please start by readng the article "Sensible Eating" (written for Stretching & Pregnancy) and if you really want to get into the nuts and bolts, read "Do you want to diet? Don't!". Paleo, lo-carb, Zone, amd IsoCaloric fans welcome!